Another functional interior solution for a limited bedroom area. 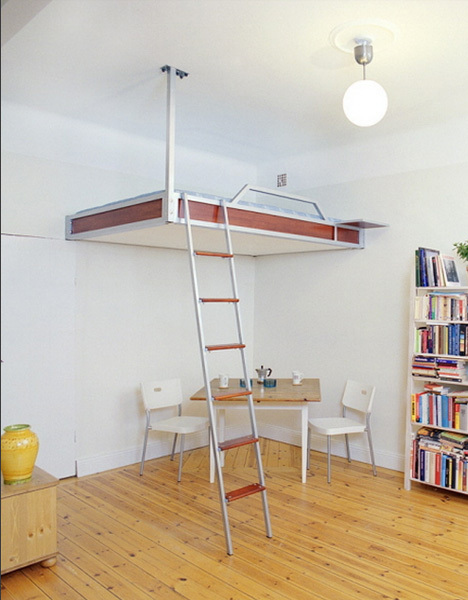 Empty the space for the table, cabinet or just leave it empty, moving the bed above - to the ceiling. 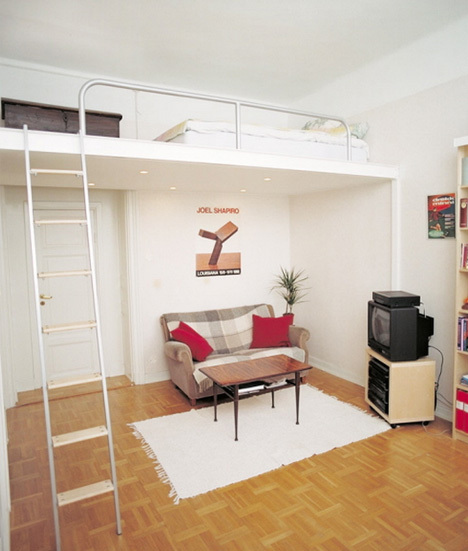 Two-level or high-bedded bedsWe are more associated with dormitories or a children's room in a family with two or more children. But this is an excellent solution not only for children. 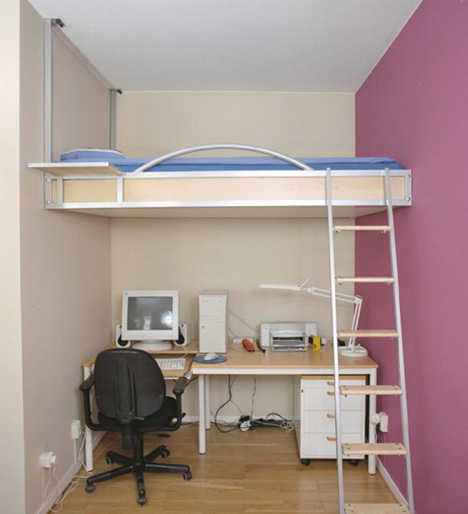 Mounting an adult loft bed is a good and sometimes cheaper alternative to automatically retractable beds. A metal staircase and a banister in the style of minimalism will help make the bed less childish, and decorative touches integrate the above-ground part of the bedroom into the overall style of the interior. 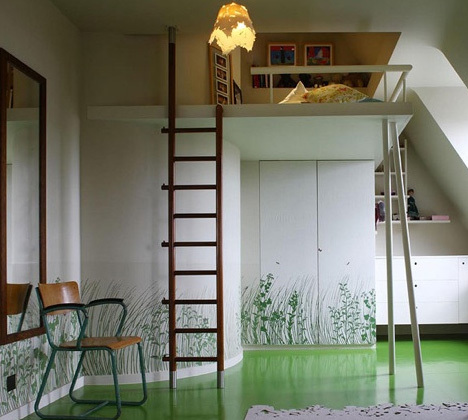 Of course, to establish a full-fledged loft bed is not an easy task. There are other solutions available, for example, a sturdy metal structure with fasteners to the ceiling and an adjacent wall. And if the room is very small and narrow - then the bed is suspended to the ceiling and is attached to three walls along the length and width.